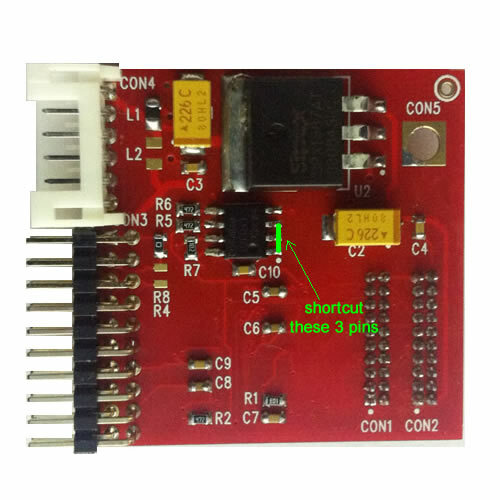 If you have no PicKit3 or have problems with re-programming, then please send us e-mail with Subject “PIC problem” and your Order ID inside e-mail body – we will ship correctly programmed PIC to you that you can solder on PCB. All new orders shipped since starting of this week come with correctly programmed PIC and do not require any changes. Now we do PIC programming internally in our company to avoid problems like this in the future.